It has been observed since the early 1900s and is now recognised each year on March 8. It is not affiliated with any one group, but brings together governments, women’s organisations, corporations and charities. The day is marked around the world with arts performances, talks, rallies, networking events, conferences and marches. According to the World Economic Forum, the gender gap won’t close until 2186. 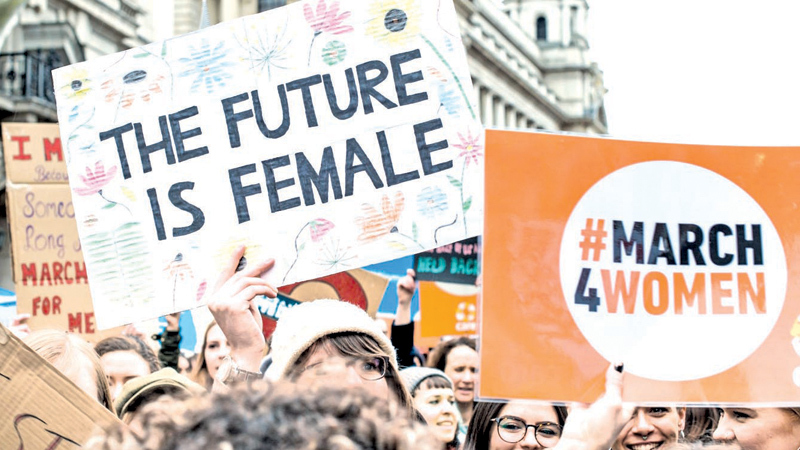 On IWD, women across the world come together to force the world to recognise these inequalities – while also celebrating the achievements of women who have overcome these barriers. There was a vocal, headline-grabbing fight for women’s rights in 2018, with female actresses donating money and wearing black at awards ceremonies in support of #TimesUp and BBC journalist Carrie Gracie publicly resigning as China editor over unequal pay. This year, the pursuit has continued, with members of the Democratic Party in the US wearing white at Donald Trump’s State of the Nation address. The theme for IWD 2019 was #BalanceForBetter, a nod to the growing global push for professional and social equality. Described as a “business issue”, the aim of the theme is to encourage gender balance in boardrooms, in the media and in wealth as a way for economies to thrive. It echoes the aims of the Telegraph’s Women Mean Business campaign - which launched on IWD last year to help close the funding gap for female entrepreneurs in Britain. Yes! It takes place on November 19 each year and is celebrated in 60 countries around the world. The objectives of the day include a focus on men’s and boy’s health, improving gender relations, promoting gender equality, and highlighting positive male role models. The month of November is also a chance for men to take part in the popular ‘Movember’ charity event, by growing facial hair for charity sponsorship. The IWD website shows where events are happening in countries and towns - check out what’s happening near you to see how you can participate. Plus, there will be an organised march in London on Sunday, March 3.